In our first ever intake, we produced 『Gold』 award students. These students have then gone on to improved school work and examination results. The confidence we bring to students is clearly on another level. A thorough and complete understanding of what is required from students. With this, we help students on the programme with skills and guidance. The programme is extremely challenging and demanding. Thus, applicants for this programme are screened for potential and work attitude. As an Authorized Training Ambassador of TOEFL Junior, we provide our students with everything they need to know about the test. Everything from preparatory programmes to test registration. Within a short space of time, we have had the honour of helping TOEFL HK hold public tests in the New Territories, and helping numerous children attain Gold and Silver Awards. 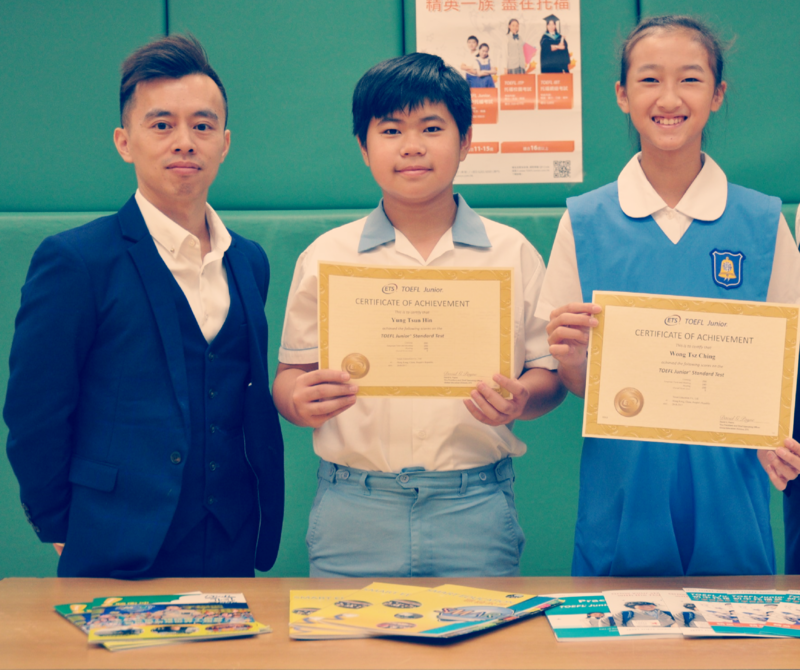 Apart from being an objective and reliable test of students』 English skill, students with the ambition of attaining an internationally recognised award that can be used to boost chances of entering their favourite secondary school should take this test. So what are you waiting for? Call us today to see if your child can make it into our 『Going for Gold』 programme.